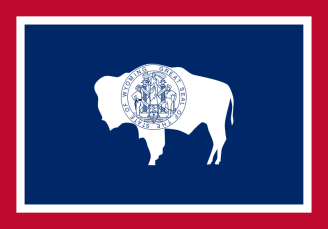 Statewide reporting of Wyoming vital records commenced in 1909, 19 years after it was granted statehood. Very few birth or death records were kept prior to that time in any county. The Vital Statistics Services at the Wyoming Department of Health issues certified copies of birth and death records to family only; there are no other types of copies available, so persons without tangible interests cannot obtain copies of these vital records. Requests for certified copies must be made by mail only; no requests are handled by phone, email, in person, or online. After 100 years, Wyoming birth records enter the public domain and can be obtained from the Wyoming State Archives. After 50 years, Wyoming death records enter the public domain and can be obtained from the Wyoming State Archives. Record Access Requirements: Must have a signed release from person of record or parent or guardian. Search Note: Must include signature of requester and copy of photo ID. Record Access Requirements: Records are not open. Must have a signed release from immediate family member. The agency will verify information to family member, such as aunts and uncles, but will not release copies. Note: Must include signature and copy of photo ID with request.